As the weather improves and UK residents look forward to barbeques, late evenings and summer holidays, the last thing on your mind is your boiler and central heating system. However, prolonged sessions of non or little use can cause issues when the wintery months set in. So Baxi has given some guidelines to follow to make sure your boiler will be ready when called upon. 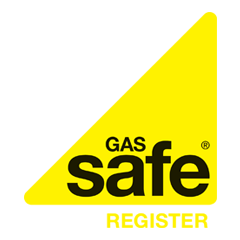 It’s advised by t he Gas Safe Register and the Energy Saving Trust to have your gas fired boiler serviced annually to maintain it’s working efficiently and to be in keeping with some warranty guidelines. But beyond a service, what else can you do during the summer months? Baxi has some suggestions. Firstly, ensure that you’re using you heating controls correctly. Review you boiler thermostat, cylinder thermostat, time programmer and thermostatic radiator valve settings and re-set them to match your needs more closely in terms of timing and comfort. And as the weather heats up you should change your boiler settings to match the temperature. You can also use the summer months to fit reflective insulated panel boards on the wall behind your radiators, especially if the radiator is mounted on an outside wall. Rigid reflective radiator panels are an ideal solution if you don’t want to take your radiators off the walls. And ensure that, like in the winter months, no furniture or curtains are blocking the radiators. The best advice is to get the boiler serviced during the hotter months – not just because you’ll be able to get an engineer more readily but also to identify any issues before you become reliant on your boiler and hot water system in the months when you need them most. Baxi claim a boiler service through their Heateam will cost around £120. If your boiler is over ten years old then you may consider replacing it with a new, energy efficient, condensing model. Older boilers may convert as little as 60 per cent of the gas they use into useful heat so it’s worth considering a more efficient replacement to reduce the cost of your bills.